Hi from New York Fashion Week …. Wait … who’s that on the screen …? Yep, it’s me! This is part of the exciting adventure I’ve been telling you about. 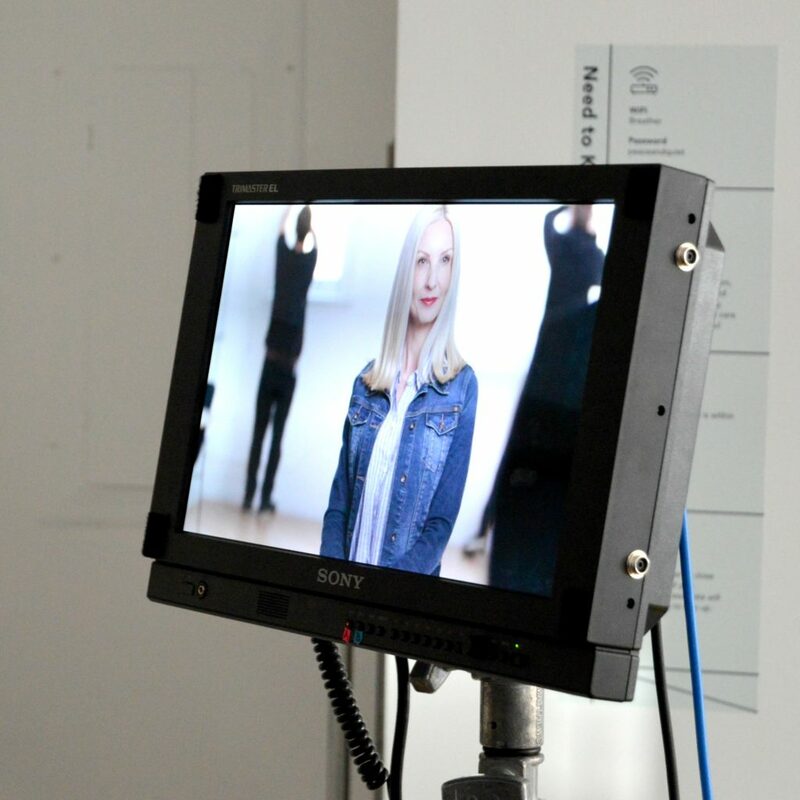 Today I was on set with Jambu Footwear doing a video. And can I just tell you that I had an absolute blast?! You have to check out my Instastories! And of course I’ll give you the whole scoop in a post later too! I have so much to share, but I’m right in the middle of the NYFW whirlwind, so need to be brief. Please follow along with me on my New York style adventure on Instagram and Facebook … and get exclusive BTS coverage when you subscribe to the Fashion Should Be Fun Newsletter! 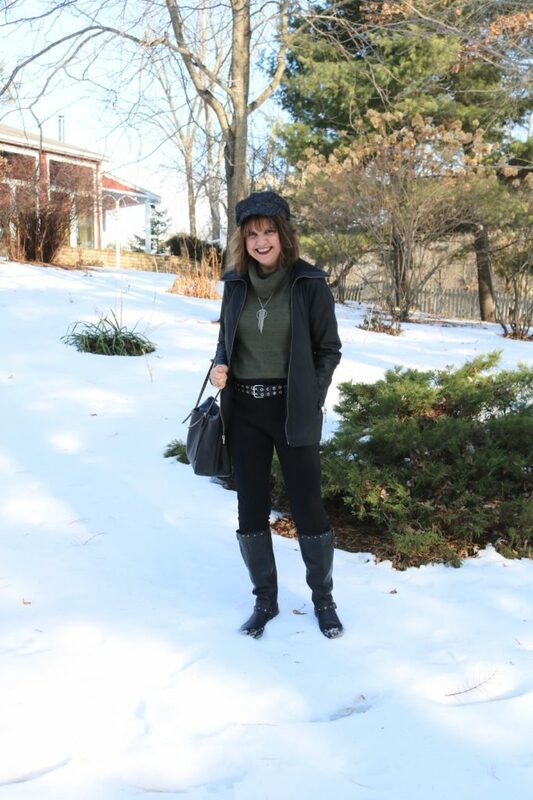 Look of the week ..
Amy of Amy’s Creative Pursuits is looking chic and adorable in the cold weather. Something I HOPE to pull off in NY! Please let me know if there’s any special coverage you’d like to see from NYFW! Don’t forget to share your looks! Eek, this is all soooo exciting! Super exciting, I can’t wait to read all about the fun you had with Jambu! You look so gorgeous! No air brush needed! I love following your Instagram and Facebook-fun, fun, fun. I definitely want to see the coat and shoes you picked for your NY city look this week. Oh what fabulous fun, Dawn Lucy! I am so happy for you! Enjoy! Enjoy NYFW! I would love to go someday. Can’t wait to see the video! Have fun Dawn…and thanks for the link up! How fun! Can’t wait to see the finished product! Oh my gosh! How exciting to come here and see I’m featured this week! Thanks so much! I’m so excited for you and your trip NYFW and your video. I saw your Instagram posts but not your stories. I hope they’re still there! I’ll check them out now! How fun to be featured in a video! Congratulations! Congretulations! And enjoy the FW! I love living vicariously through you by following along via your Instastories!!! Enjoy the rest of your time! Can’t wait to hear all about your NYFW adventures! How fun that you’re at NYFW! Stay warm and wear comfy shoes! Oh goodness, how exciting!! Have tons of fun!